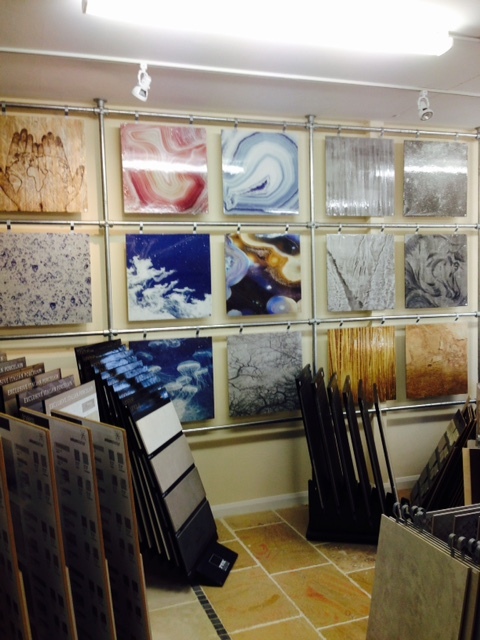 Dream Tiles are the leading retailer of quality tiles in Oxfordshire and surrounding areas. Our showroom in Chesterton, Bicester, showcases just some of our extensive range which is unmatched and unrivalled by any of our competitors. We can offer our customers first-grade stone and porcelain tiles from the top manufacturers around the world. All our products are selected directly from the factories. Dream Tiles specialise in the supply of Luxury XL, Large and Small format wall and floor tiles, glass works, mosaics and flexible natural stone veneers (including stone ‘wallpapers’). We also offer a bespoke tile design production service from our range of Victorian, Minton styles. We’ll beat any of our competitors with a valid like-for-like quote. With our vast range of tiles, we can make up your own borders with matching tile colours of your choice and style, because we aim to deliver that dream tile, that is unique to you! Just ask for details.Our Showroom is under construction at the moment, so due to Health & Safety "It's strictly by appointment only", so call today for details on 07799115666. You can also email us. Dream Tiles also supply adhesives, grouts, sealers and tools to both retail and trade customers. If you have a bespoke project where durability, health and safety, style and sophistication are required, look no further than Dream Tiles.